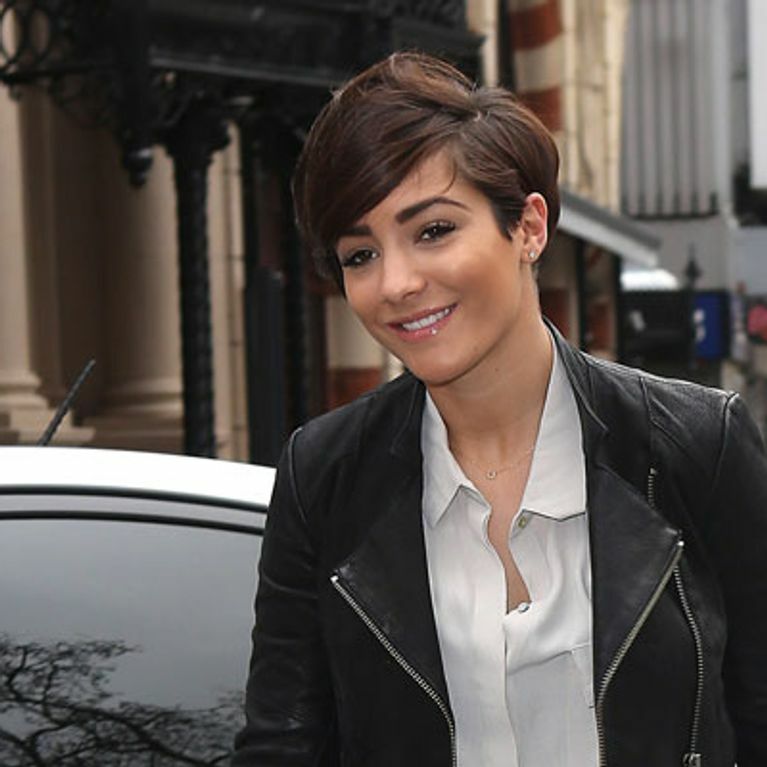 Now that her gorgeous son Parker is born, The Saturday’s singer Frankie Sandford is keen to shed the weight she put on when she was pregnant. But the pop singer can’t bear to spend time apart from her little man – so she’s getting him to help her shed the weight in the most ingenious of ways! Oh Frankie you’re so cute! Frankie Sandford has uploaded an adorable snap of her and her baby son Parker enjoying a work out together. The smiling Saturday’s singer has her 7-week-old son strapped to her chest in a sling as she attempts to lunge, while her pug Prez stands by her feet and looks up at the two of them. While pregnant Frankie was slammed for her weight gain and obviously the new mum feels under pressure to return to her formerly slim physique since giving birth in October. Although Frankie is on a juicing detox and has started a new exercise regime, she’s more concerned with enjoying her maternity leave with her new little man, before she has to pick the microphone back up and join her Saturday’s bandmates. According to Look magazine, the singer is set to re-join her band mates this Christmas, but in the meantime she’s been relishing motherhood and spending time with her footballing fiancé Wayne Bridge. What do you think about Frankie’s novel way of shedding the post-pregnancy pounds? Tweet us @sofeminineUK!